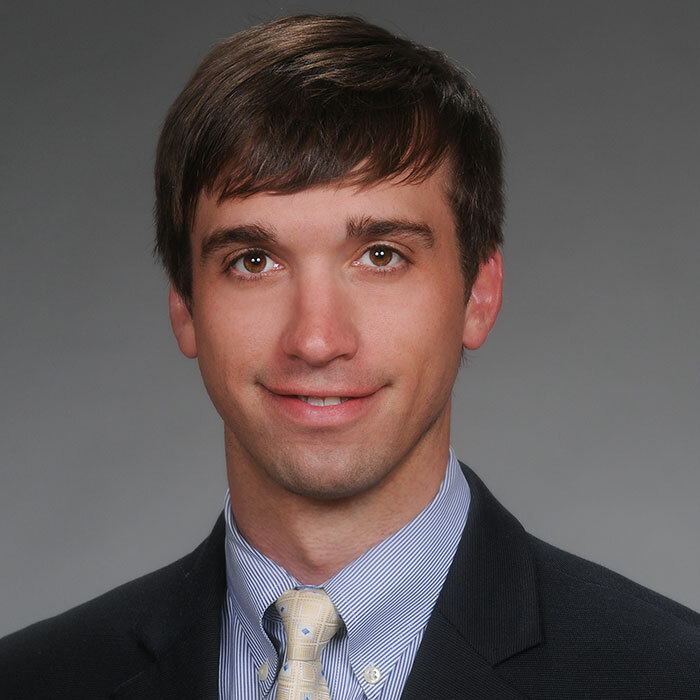 R. Seth Hampton joined Quattlebaum, Grooms & Tull PLLC in 2014. His practice primarily focuses on real estate, agriculture, commercial finance, regulatory compliance, and business succession and estate planning for farm families and closely-held agribusiness corporations. Mr. Hampton represents clients in conveying and exchanging real property and real-property interests, such as easements, purchase options, and rights of refusal; preparing and negotiating lease agreements for agricultural, recreational and commercial properties; resolving title issues and boundary disputes; and developing agricultural, recreational and commercial properties. His experience includes assisting clients with major asset purchases, structuring tax-free real estate conveyances, forming business organizations, including corporations, limited liability companies, general and limited partnerships, and joint ventures, and financing business operations and real estate acquisitions. He also advises clients on matters concerning water rights and irrigation permitting, and compliance issues with environmental and land use regulations. Mr. Hampton’s experience with matters pertaining to agriculture include representing producers and agribusinesses in utilizing and structuring business entities to meet multigenerational business succession and estate planning goals in compliance with governmental regulations pertaining to payment eligibility and limitations, and obtaining financing from private and governmental lenders for agribusiness operations, major asset purchases and real estate acquisitions. He also assists clients with obtaining and transferring contracts and easements offered under agricultural and conservation programs administered by state and federal agencies, and with compliance issues involving Farm Service Agency and Natural Resources Conservation Service regulations. Additionally, Mr. Hampton represents both lenders and borrowers with risk management aspects of agricultural lending, including matters concerning collateral securitization and loan documentation, and negotiating workouts and forbearance agreements involving agriculture loans. Mr. Hampton hails from Monroe County, Arkansas, where his extensive knowledge of the agricultural industry began with his involvement in his family’s farming operation. His involvement with his family’s operation led him to attend Arkansas State University where he earned a B.S.A. in Agricultural Business, was a member of the Delta Tau Alpha Agricultural Honors Society, the Collegiate Farm Bureau Club, the Agricultural Business Club, and the Delta Theta Chapter of the Alpha Gamma Rho Fraternity, and completed multiple internships with Syngenta Chemical Corporation and BASF Crop Science, as well as an internship with the Honorable Marion Berry, United States Representative for the First Congressional District of Arkansas. Following graduation, Mr. Hampton served as Congressman Berry’s District Representative and Liaison for southern counties comprising Arkansas’s First Congressional District. Mr. Hampton obtained his J.D., with honors, from the University of Arkansas at Little Rock William H. Bowen School of Law where he was a member of the Arkansas Real Estate Review, earned two awards for Top Student, and received the Student Excellence Award for his participation in the Academic Support Program as a mentor to incoming students. While obtaining his law degree, Mr. Hampton also served as a student law clerk to the Honorable J. Thomas Ray, United States Magistrate Judge for the Eastern District of Arkansas. Following graduation, Mr. Hampton served as a staff attorney to the Honorable Billy Roy Wilson, United States District Judge for the Eastern District of Arkansas before joining Quattlebaum, Grooms & Tull PLLC.